Behind every great success story, there is usually a great team, and our team is no exception. In an increasingly competitive world, success is all important, and to achieve this, you need to use all the tools you can. We, at Spanish Express, are here to ensure that your goals are achieved and your needs are fulfilled. Professional Spanish Tutor and a Certified Translator English/ Spanish with many years of experience in teaching business professionals and private individuals on all aspects of Spanish, including seminars in the all important field of cultural awareness. Mónica is skilled at working in three languages (Spanish, Catalan & English). Her linguistic abilities also lend themselves perfectly to facilitating effective communication with consideration for the individual cultural differences. Her skills include the management of multicultural teams in an office environment and extensive knowledge and experience in international business, particularly within the fields of Education and the travel & tourism. Mónica has also gained valuable experience in Interpreting and Voice-over. Mónica has worked in managerial positions for several companies both in and in the UK before setting up her own business in 2000. Mónica teaches in both Ipswich and London. 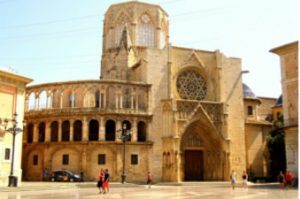 Pilar was born in Alicante and has a degree of Pedagogy from the University of Valencia and a master in Speech Therapy from the University of Barcelona. Pilar has excellent experience in teaching and working in education. She worked as director and teacher in Leonardo da Vinci Academy in Valencia, Spain for twelve years, where she taught Spanish Language and Literature. She has obtained a Certicate as Teacher Specialist Subject Training for Spanish from Comberton Village College in Cambridge. 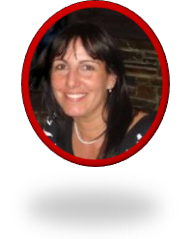 Pilar has in excess of fifteen years of experience in Education and she is working as Spanish Teacher in England since 2017. She teaches one to one and groups of GCSE and A Level. Currently, Pilar is the coordinator of the Spanish Inmersión Programs which organise structured advanced Spanish Language learning in Spain. 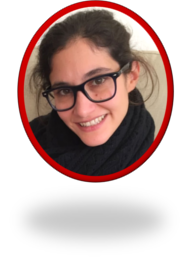 Pilar is currently working in our Ipswich based centre, and is the Coordinator of the “Study in your Teacher’s Home” Course we offer to our clients. Isabelle has a degree in French and a BA (Hons) in language studies. She has also a diploma in Administration and TEFL. She is currently studying a Master in Behavioural Psychology. Isabelle was brought up speaking 3 languages (Spanish, French and Catalan), which gave her a fabulous cultural upbringing. She has lived and worked in Spain and France, thus her expertise and exhaustive understanding of the languages, as well as countries ethos. She has worked as a translator & interpreter for several British companies as well as a police and court interpreter for several years. She managed her language academy in Spain for 5 years before returning to the UK. 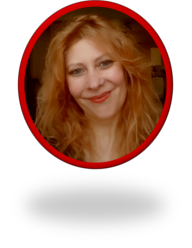 She is an experienced MFL teacher and a freelance tutor for Spanish Express. 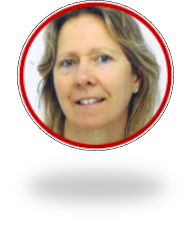 Isabelle lives in Suffolk with her husband and two children, where she enjoys a variety of hobbies such as writing, cooking and collecting magnets. Laura is a qualified and experienced linguist, speaking 5 different languages, and is a native speaker of Spanish and Catalan. She has studied Literature at the University of Barcelona and Hispanic Philology at the University of Barcelona also. Laura has brilliant experience of teaching, having worked in education since 2006. She has also been a teacher trainer for Calamo&Cran in Barcelona. Alongside this, Laura has experience in translation. 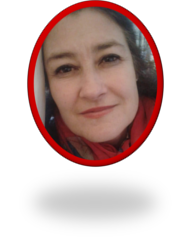 She is the Coordinator for Spanish Courses in London for Spanish Express. Oscar is a graduate of the University of Seville where he studied Hispanic studies and English Philology. He has taught Spanish to A-level at Albemarle for the last 4 years and has a keen interest in Pedro Almodovar’s films and the history of modern Spain. Oscar’s extra-curricular interests include playing the guitar in a rock band and supporting Futbol Club Barcelona. With more than 10 years of experience, both in teaching and coordinating as Head of Studies, he is now responsible for the practice component of the Spanish Express and Cálamo & Cran’s Teacher Training Courses for ELE. Sara is of British nationality, and after graduating at Portsmouth she lived and worked in Spain for 15 years. Sara is of British nationality, and after graduating at Portsmouth she lived and worked in Spain for 15 years. 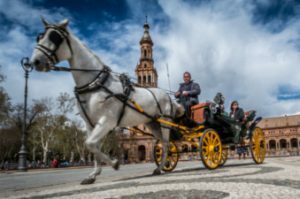 Whilst there she taught English and was also the official translator for the Department of Education and Science for the Autonomous Government of Andalucía. Her experience in translation spans over 20 years in the fields of education, entertainment, health and medicine, local government, law and order and many more. 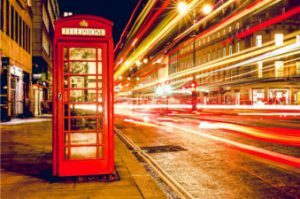 At present, other than working on a freelance basis for Spanish Express, Sara is a distance tutor on a Postgraduate Certificate in Translation Skills run by City University in conjunction with the Colegio de Traductores Públicos in Argentina. She also works as an interpreter, transcriber, proof-reader and teacher of A level Spanish. 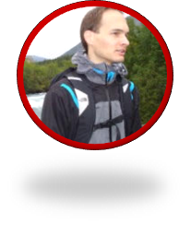 Olivier is a fully qualified native French teacher with 20 years’ experience in the UK. He has a dual PGCE/ Maitrise FLE qualification, allowing him to teach school children as well as adults. His experience is of a broad age range from young children to adults, and across the ability range. He has been working in Preparatory, Secondary schools and 6th Form Colleges in and around London. For the last 5 years, he has been teaching GCSE and A Level classes at David Game College. He is also working in Further Education for the Institut Francais, teaching general French and specialized courses such as corporate, diplomatic courses and exam preparation. He is a certified examiner for IGCSE for the Edexcel exam board and for the DELF/DALF exam. 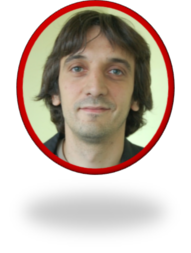 Olivier is a caring, rigorous and reliable teacher with proven leadership skills, including 10 years’ experience as Head of French. He has fully integrated the use of I.T in his teaching, producing his own resources and using digital resources in class. He also communicates routinely via email with his students and has 10 years’ experience with online tuition. Maria is a freelance translator based in Barcelona. After graduating in Translation and Interpreting from Universitat Autònoma de Barcelona, she did a MSc in Translation Studies (University of Edinburgh). Maria is skilled at working in Catalan, Spanish and English and she is a Certified Translator (English<>Catalan). 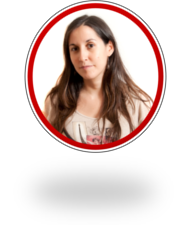 Maria has collaborated with Spanish Express since 2012 and she is currently combining her translation job with her job as an English and Catalan teacher.